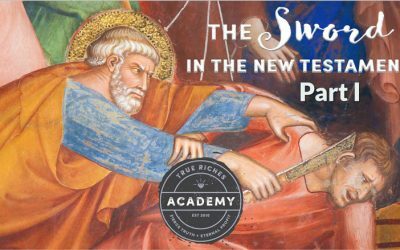 In this powerful — and desperately needed — teaching, you will learn what the New Testament says about killing and its radical departure from the use of the sword in the Old Testament. Prepare to encounter fresh scriptural insights that could change your entire perspective, not just on weapons, but even on the human kingdoms that wield them. In this free eye-opening teaching video, you will learn exactly what the Old Testament says about killing, murder, and even self-defense. This teaching will challenge you to consider violence in the Old Testament in a new light. Enjoy dozens of hours of video Bible teachings with Jerry Robinson from our True Riches Academy. It’s free and filled with unique insights that will help renew your mind. Our 2019 Bible teaching series with Jerry Robinson began with a bang on Sunday, January 13, with a powerful new teaching on Christ’s words to the rich of this world. Watch the video replay now. “When the Son of Man comes, will He find faith on the earth?” (Luke 18:8) This profound question by Jesus takes on a new meaning as Bible teacher, Jerry Robinson, compares our modern age of reason with previous generations more dependent upon faith. Enter your name and email address to receive our latest video teachings and articles by email. 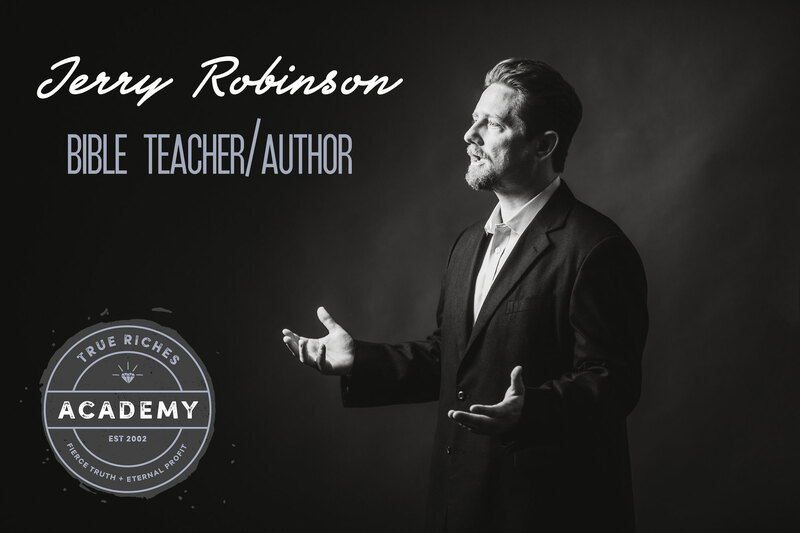 Jerry Robinson is the founder and executive director of the True Riches Academy, an online training center for Bible-believing Christians. He is also the host of True Riches Radio, a podcast dedicated to challenging believers to think and thinkers to believe. Through the True Riches ministries, Jerry and his team seek to “educate, equip, and empower” followers of Christ through the creation and distribution of educational materials in a variety of formats including: podcasts, video teachings, and e-books. 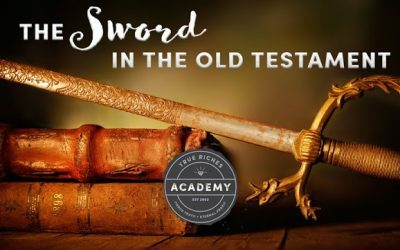 In Part 1 of our teaching entitled, The Sword in the New Testament, we continue in our sweeping study of what the Bible has to say about the use of the sword as we turn our attention to the New Testament. In Part 2 of our teaching entitled, The Sword in the Old Testament, we continue examining the few extraordinary (and very limited) provisions for killing that are not considered to be murder in the Old Testaments.